The city is full of whimsical portals to another world. A curious fellow takes a peek inside. In 1993, while Jonathan B. Wright was renovating his century-old home, his young daughters made a delightful discovery: itty, bitty, six-inch doors scattered throughout the space. 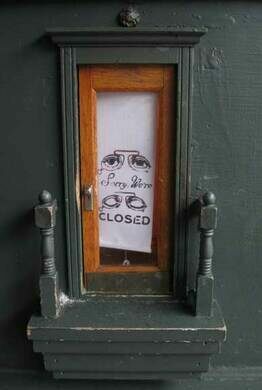 When opened, the doors revealed tiny railings inside that led to other miniature doors. There were even windows springing up, where lights inside would magically turn on and off. At the Ann Arbor District Library, the creatures made a home out of a bookcase and several books on fairy tales. 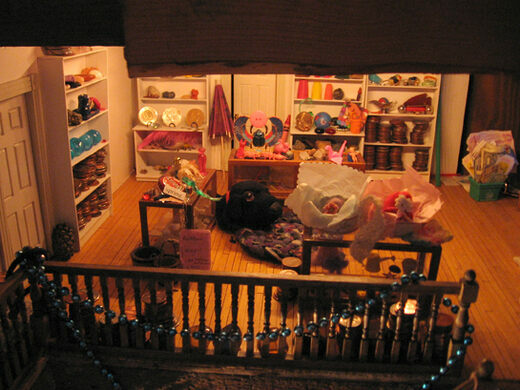 Then there is the Peaceable Kingdom, a gift shop where the fairies set up their own elaborate store, filled to the brim with fairy favorites: pennies, toys, acorns, and all other manners of bric-a-brac. Another find is the Michigan Theater’s private fairy theater, complete with a working movie screen. Keep checking Wright’s site for his latest discoveries! 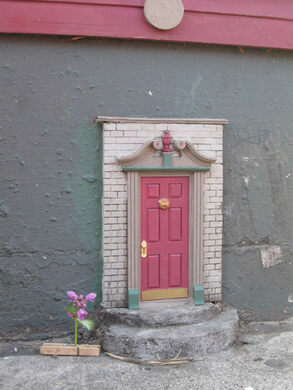 The fairy doors are in multiple locations throughout the city. Trade in that pesky human soul for cold-hard circuits. An ever-evolving wall of graffiti art off East Liberty Street. Everyone's invited to put on a miniature concert with this world-class musical wonder. These grassy undulations on a stretch of University of Michigan campus aren't bad landscaping, they're art. San Franciscans leave gifts and messages for the magical beings that live behind the tiny, mysterious door installed on a tree in Golden Gate Park. The home of Ireland's last leprechauns is officially protected by the European Union. Legend has it fairies gathered at the site of this medieval castle. This ethereal, rainforest-like gorge is home to waterfalls, quaint bridges, and fairy folk.